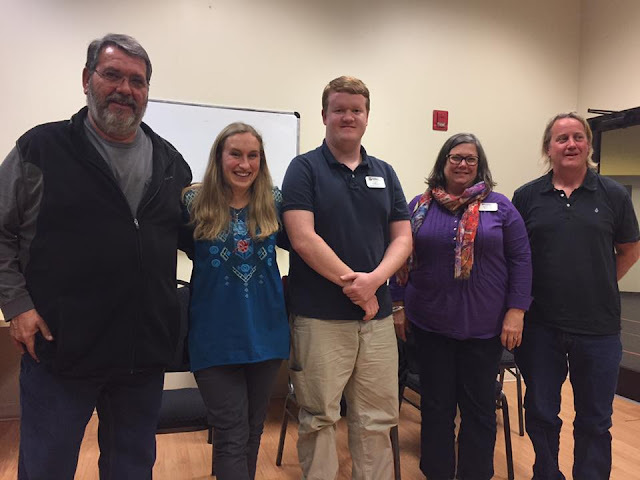 On the panel we had Joey Ayers and Freddie Robinson from Five and Two Farms in Yadkin county, very close to my farm. They grow mostly for the food insecure in High tunnels and using hydroponics, they have a heart for growing nutritious food for the community and feeding the hungry not only that their dream is to teach folks how to grow their own food. They sell vegetables on site and I asked them to bring some to sell this made my day, I personally want all meetings to have local produce showcased. I wanted a commodity farmer present to show how we can all live in harmony my farm is surrounded by large farms growing corn and soy and we all get along. Five and Two farms is leased from one of these bigger land owners. We need all farms in the countryside, in the cities, school gardens and home gardens to grow healthy food thats accessible for all. We also had Tyler O'Mara a market gardener (he grew a big garden and sold to a local farmers market) and is a horticulturist I am a master gardener volunteer and met him at The Tanglewood arboretum he's great very willing to support others and share his ups and downs growing vegetables to sell. Mary Jac Brennan a small farms extension agent was on the panel too. 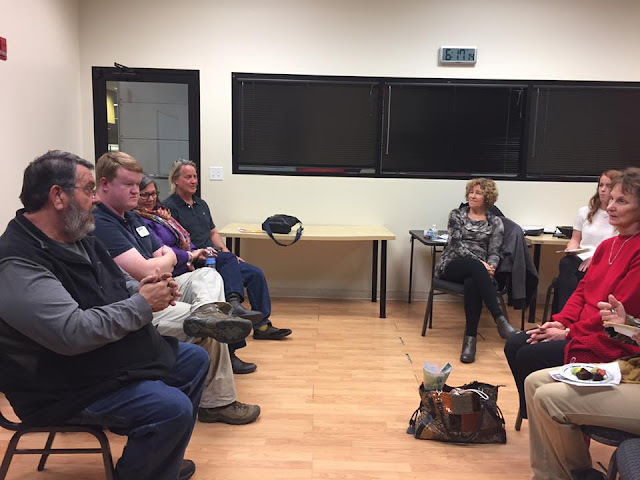 The cooperative extension is an amazing resource taking research from the Universities and sharing best approaches with the farmers and the public. 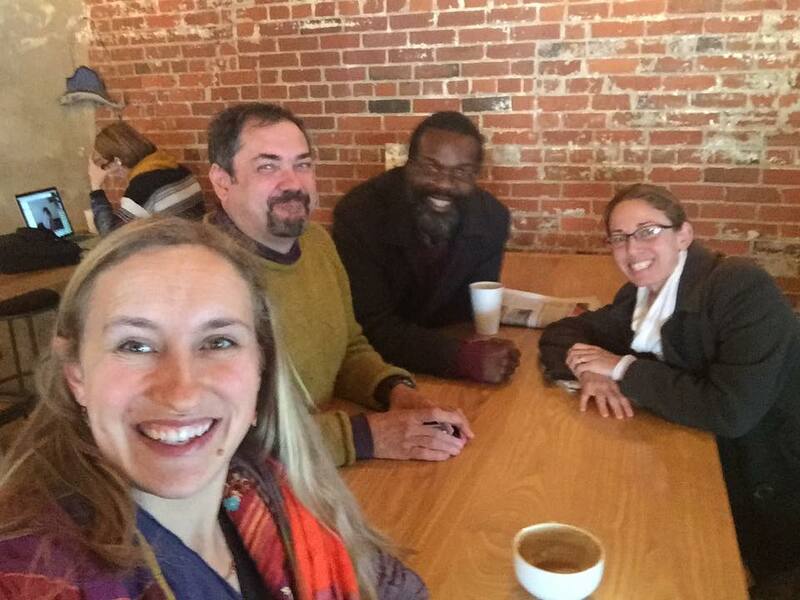 The same morning I had met Michael Banner and Stephen Johnson at our first Triad Farmers meet up. Michael is an Urban farmer in a lower socio economic area of the city and went through the Urban farm school a 12 week program coordinated by Mary Jac to train urban farmers how to farm and sell their produce. What inspires me about Michael is by gardening he has mentored and inspired 8 other families in his neighborhood to grow vegetables. There is hope, and really folks struggling in Urban areas face similar challenges to folks in Rural areas we are all the same but sometimes I feel folks don't realize that. Michael Banner at the back, next to him is Stephen Johnson an Urban farmer at Elam gardens in Greensboro and Gabrielle Serang Hellinger an awesome home gardener. 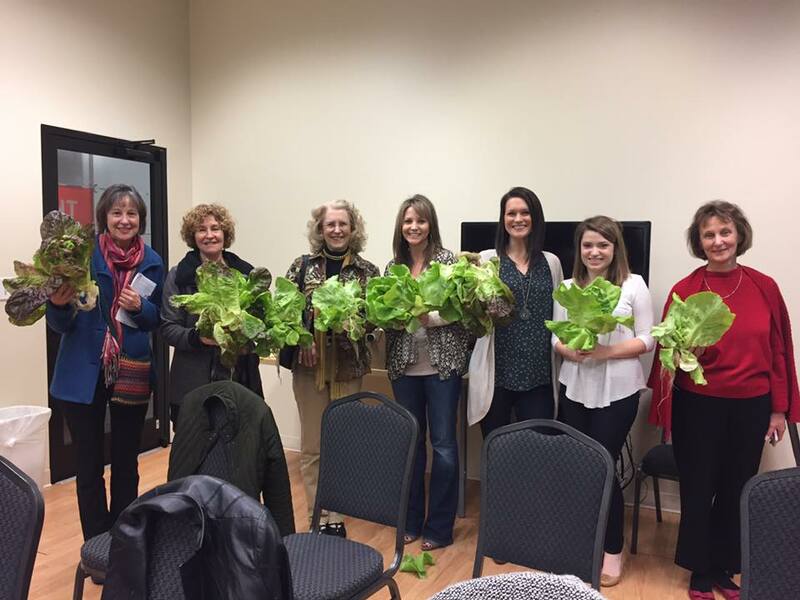 Local Winston Salem Dietitians with their lettuce. As folks chatted it was encouraging to see how we have the same vision for a healthy community and food and agriculture go hand in hand. Freddie, me, Tyler, Mary Jac and Joey. All in all it was a good meeting and I hope the connections and conversations between nutrition professionals and agriculture experts and farmers continue for a stronger and healthier community.